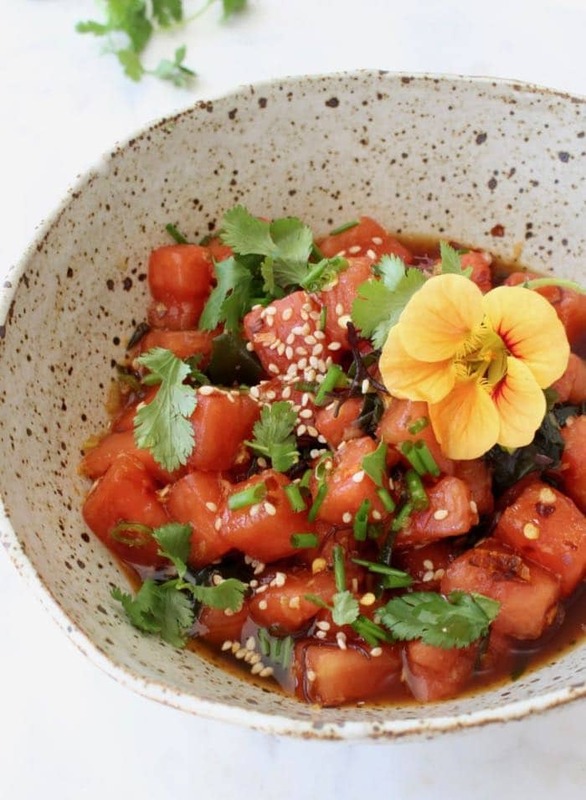 A vegan poke bowl recipe made without fish but it tastes like the real thing, all thanks to the flavors from mixed sea vegetables and the texture of marinated watermelon. Poke is a classic Hawaiian dish made with wild raw ahi tuna that has been marinated in a garlic, ginger, scallion and tamari lime dressing. 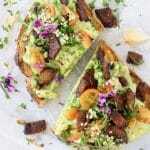 But there is no need for cruelty as we are now able to replicate both the texture and the taste of the real dish with simple healthy ingredients. 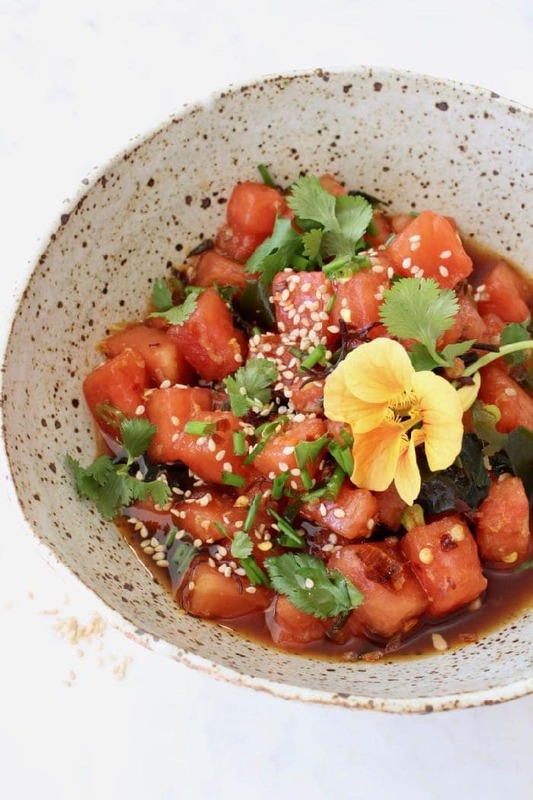 I used sweet diced watermelon that I marinated for a couple of hours in a classic poke sauce to absorb as much flavor as possible, like a sponge. But in order to get a texture similar to that of tuna I then sautéed it until softened, then back into the marinade it went to absorb more flavor and chill completely. You guys! This Watermelon Vegan Poke Bowl Is Everything! 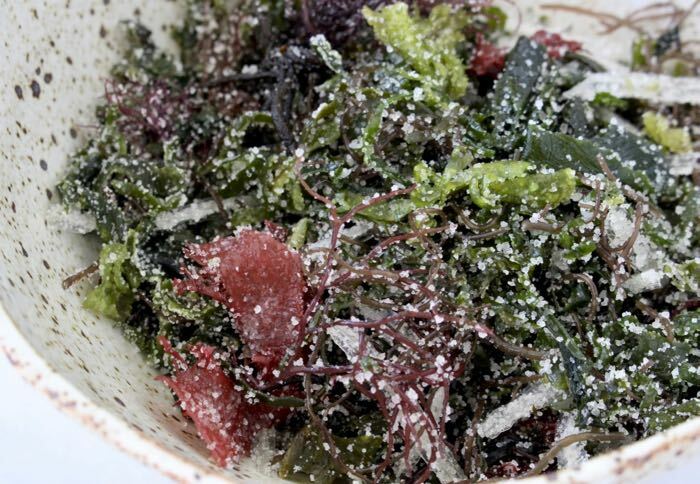 But Wait: What Are Sea Vegetables ? The same source that tuna and other fish get their taste and smell from: seaweed (blue and red), agar-agar, sea string, kelp, gufuweed and montagne. They come packed in salt as pictured above, so make sure to rinse them off well before using. They will give your poke bowls the same smell and flavor as real fresh fish. Since the watermelon poke turned out to be such a hit, I went back to the hearts of palm ceviche from the other day and remade it with the addition of sea vegetables. Truly unbelievable, you should also make a big bowl of that while you are at it but be warned: it tastes like the real thing! 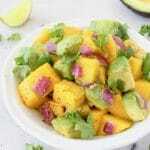 Ideally served chilled as an appetizer with chips, or piled up high on brown rice or quinoa bowls with avocado mango salsa. note: Watermelon is one of the healthiest foods on the Planet, it has a high water and lycopene content plus it is loaded with Vitamin A and carotenoids. 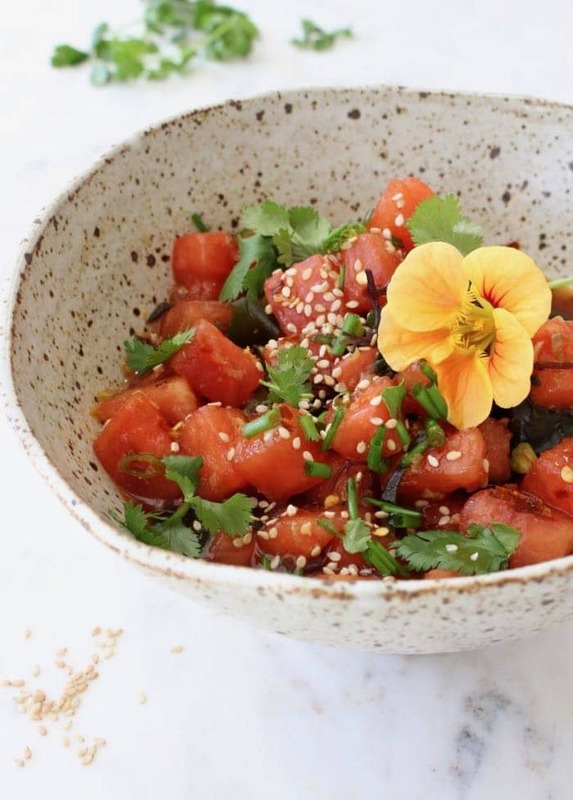 A vegan poke bowl recipe made without fish but it tastes like the real thing, all thanks to the flavors from mixed sea vegetables and the textured of marinated watermelon. 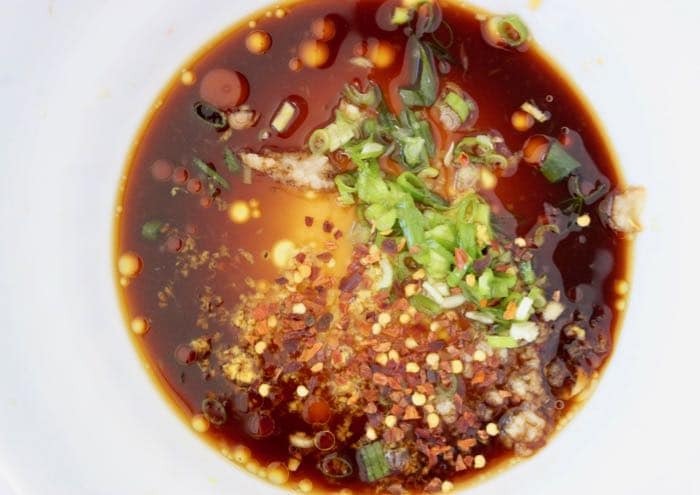 In a medium salad bowl whisk together the Tamari sauce with the lemon juice, sesame oil, garlic, ginger, scallions, chili flakes and sesame seeds. Add the watermelon and sea vegetables and mix to coat well. Cover with a lid and refrigerate for 3 hours. After 3 hours have passed heat up a large skillet over medium low flame. 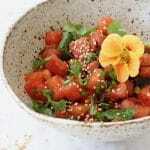 Use a slotted spoon and transfer the watermelon from the marinade into the skillet. Saute until most moisture has evaporated and the watermelon cubes have softened, about 10 minutes. Transfer it back into the poke marinade, cover with a tight lid and refrigerate overnight or at least for another 2-3 hours until completely chilled. 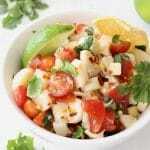 Serve the poke sprinkled with the fresh cilantro, chives and extra sesame seeds on top. Sounds like a fantastic idea Florentina.